NASHVILLE, Tenn. (October 30, 2015) – Increased sales and demand for George Jones White Lightning Moonshine and Vodka have led the brand to consider distribution & marketing vendors in both nationwide and international markets. After the brands were successfully launched they won awards for best taste. The moonshine and vodka products are currently sold exclusively at the George Jones Museum in Nashville, Tennessee. After the White Lightning Moonshine brand's recognition at the 2015 SIP Awards, the Museum store has been overwhelmed by demand for its White Lightning Moonshine and Vodka products. 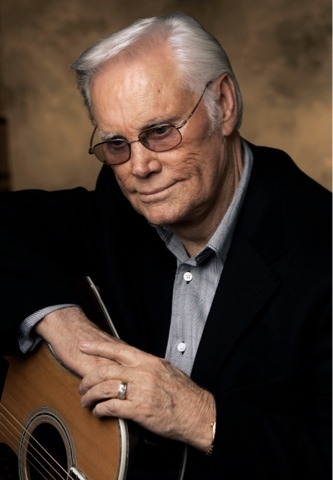 With the tremendous success of the spirits line, the George Jones biographical film "No Show Jones" slated for release in 2016, and the growing demand for the product and interest of many to buy the spirits line, plans are underway to choose the right partner to create an international footprint. Management has selected the Investment Bank, R.L. Hulett & Co., to represent them in their search for a strategic partner with the capabilities and distribution network to properly scale the brand. This opportunity is large and multi-faceted. The iconic George Jones name, the trademarks of White Lightning and the 2015 SIP awards all make for an incredible opportunity for both George Jones fans and discerning tastemakers worldwide. For more information, contact Pete Fischer at R.L. Hulett. 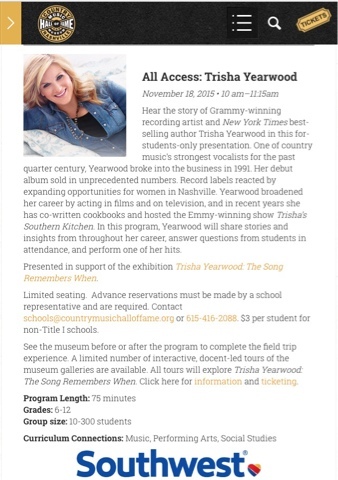 NASHVILLE, Tenn. (October 30, 2015) – Watch country music history be forever encapsulated as legendary greats Bill Anderson, T. Graham Brown, B.J. Thomas, The Whites, Riders In The Sky, Gene Watson and Moe Bandy are honored in upcoming episodes of Country’s Family Reunion. Taken from 17 years of tapings, the popular Country's Family Reunion television series, airing nationally on RFD-TV, celebrates the lives and legacies of country music legends in their all-new "Tribute" series. Each episode is a montage of the groundbreaking artists’ performances and stories told from past appearances on the show, creating historical timepieces that pay homage to their memorable careers. Air times for Country's Family Reunion are Fridays at 8 p.m. EST, Saturdays and Sundays at 12 a.m. EST. Country's Family Reunion is produced by Gabriel Communications. 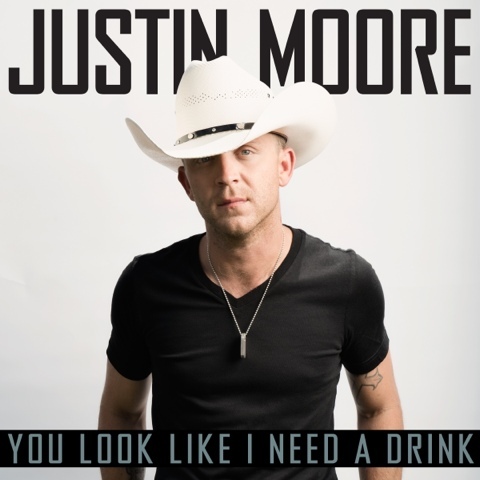 NASHVILLE, Tenn. (October 30, 2015) – Arkansas native and chart-topping singer/songwriterJustin Moore offers fans a taste of new music today, releasing lead single “You Look Like I Need a Drink” (The Valory Music Co.) to radio and digital retailers. This upbeat breakup song, written by Rodney Clawson, Matt Dragstrem and Natalie Hemby and produced by Jeremy Stover, Julian Raymond and Scott Borchetta, showcases Justin’s signature mix of vocal twang and clever lyrics -- proof that traditional country will always reign. This brand new single follows Justin's second consecutive No. 1 album debut, which boasted 97,000 first week sales. OFF THE BEATEN PATH produced Justin’s fourth and fifth RIAA®GOLD-certified No. 1 hits, “Point At You” and “Lettin’ The Night Roll.” Combined with two previous RIAA® GOLD-certified albums, he’s sold over 6.9 million digital downloads to date. With lyrics like “You look like I need a drink right now / You look like you’re gonna try to let me down nice and easy / I think I know why you won’t sit down / You’re just dancin’ around / What you came here to do but you’re scared to / And all I can think, the way you’re looking at me / You look like I need a drink,” the crooner sings about inevitable heartbreak and numbing the pain. The 2014 ACM New Artist of the Year has been featured on “The Voice,” “Nashville,” “NFL Rewind,” and in major print outlets like The Washington Post, People Country, USA Today and more. He has earned multiple ACM, ACA and ACC Awards nominations. Justin is currently in the studio working on more music for his fourth album. In addition to his own headline dates, he recently hit the road as direct support for both Brad Paisley and Miranda Lambert. Visitjustinmooremusic.com for additional information and tour dates. NASHVILLE, Tenn. (October 29, 2015) – Country-Western legend Rex Allen Jr. will be on RFD-TV’s new special, “Frizzell & Friends Roundup,” Monday, Nov. 2 at 8 pm ET/ 7 pm CST. Rex Allen Jr. joins David Frizzell for the evening special, which will feature western songs including Rex performing “Ride Cowboy Ride,” along with campfires, and of course, a cattle drive. “This was the first cattle drive I’ve been on in 40 years. It reminded me of the days I used to work cattle with my father, Rex Allen, on our ranch in California. It brought back a lot of sentimental memories,” said Rex Allen Jr.
“Frizzell & Friends Roundup” features Rex Allen Jr. and David Frizzell collaborating with hit- makers Lacy J. Dalton, Marty Haggard, Larry Woods and Mike Morgan. The group starts their week-long journey in Custer, Mont. Frizzell and friends reminisce by the campfire where they share insight into the country-western songs that have become a part of the American landscape. 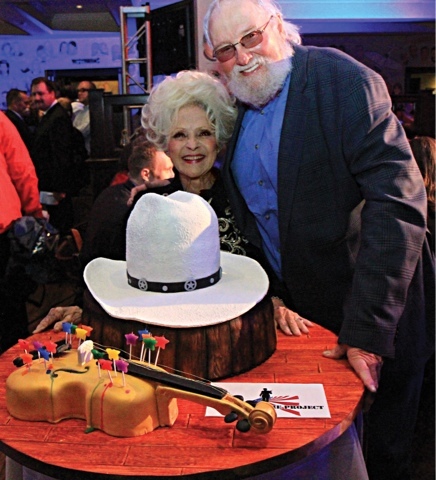 NASHVILLE, Tenn. (October 28, 2015) – It may have been country music legend Charlie Daniels’ birthday party, but all of the presents were addressed to military veterans and their families. A total of 290 guests gave an invaluable gift to those who have served our country through the purchase of a table at Charlie Daniels’ birthday bash on October 27 at The Palm restaurant in downtown Nashville, which raised funds for (501)(c) non-profit The Journey Home Project. “Big-hearted Middle Tennessee turned out again last night and made our event a great success. I love this place, these people and this cause. It’s making a difference,” said Daniels. In sum, the birthday celebration is estimated to have raised over $100,000 for The Journey Home Project, which assists other not-for-profits in securing funds to help causes that benefit veterans of the United States Armed Forces and their families. The organization was co-founded in 2014 by Daniels and board members David Corlew, Ed Hardy and Joe and Mercedez Longever. It was a star-studded evening complete with a red carpet, white tablecloths, and a five-star surf-and-turf meal from The Palm. Celebrity emcee Storme Warren, radio personality on SiriusXM “The Highway,” hosted as the event’s emcee, and guests enjoyed acoustic performances by rising country star Ryan Weaver, a military veteran and former Blackhawk Helicopter Aviator, as well as country star Chris Young, known for hits such as “Tomorrow,” “Voices,” “I’m Comin’ Over,” and others. “Taking your birthday and making it a celebration of the military – it’s just so admirable. I have done this event before, and as soon as I get asked to participate, if I’m here I jump at the chance to do it. Obviously I’ve got a lot of military connections in my family, and a lot of the people that are here work with some organizations that I’ve either done shows with or been overseas to visit military with. It’s just such a great thing anytime you get a chance to give back to military and give your time, and The Journey Home Project, what they’re doing with that, it’s truly amazing,” said Young. Lieutenant General (Retired) Keith M. Huber spoke on behalf of veteran students at Middle Tennessee State University (MTSU) and poignantly expressed his gratitude for The Journey Home Project and all is has done for the military community of Nashville and beyond. The school will benefit from funds raised through The Journey Home Project at Charlie Daniels 40th Anniversary Volunteer Jam on August 12, 2015 for the completion of its new Veterans and Military Families Center on campus. “The new Veterans and Military Families Center at MTSU will encourage and facilitate the success of our veterans as they transition out of uniform into academics, and then into future employment opportunities, as they strive to become leaders in the community much like they were in uniform. It will also help to answer all of their questions and give them a place to go where they’re talking to people with a commonality of background, purpose and focus,” Huber said. A silent auction featuring signed guitars, fiddles, rifles, ammunition, lavish vacation trips, sports memorabilia and much more also helped to contribute to the cause. Produced by David Corlew & Associates, the event was made possible by The Palm Restaurant, Wondergraphics, Military Systems Group, Horizon Wine & Spirits, Anglin-Reichmann Snellgrove & Armstrong P.C., Outback Concerts, Copperweld, Remington, Mid South Wire, Rea, APA and William Morris Endeavor. For additional information about The Journey Home Project, please visitwww.thejourneyhomeproject.organd follow on Twitter andFacebook. 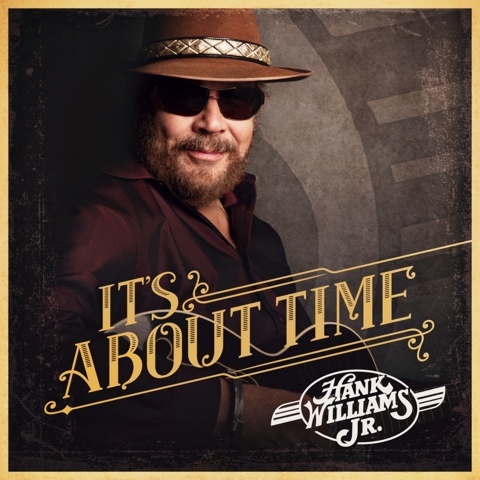 NASHVILLE, Tenn. (October 27, 2015) – Country music icon Hank Williams Jr. announced today that his new album, IT’S ABOUT TIME, will be released January 15, 2016 on Nash Icon Records. On November 4, the Superstar will world premiere his lead single, “Are You Ready for the Country” featuring Eric Church, across Cumulus stations nationwide. That evening, the pair will open the 49th Annual CMA Awards with the new collaboration during “Country Music’s Biggest Night™,” airing live on ABC at 8/7c. Beginning November 1 through December 1, fans are encouraged to visit HANKandERIC.com for a chance to win a guitar signed by Hank which he will play during the CMA Awards performance. The winner of the #HANKandERIC sweepstakes will be announced on December 4 via social media. “Are You Ready for the Country,” written by iconic singer/songwriter Neil Young and previously recorded by Hank’s mentor Waylon Jennings, will be available across digital retailers on November 4. Fans can also digitally pre-order the album on this date and will receive four instant grat tracks during December and January prior to the album’s release. Aaron Tippin Celebrates 25 Years With A Bang! Nashville, Tenn. (October 27, 2015) - In celebration of his 25th anniversary in the music business and just in time for the holidays, country singer Aaron Tippin is teaming with America Remembers® to release the limited edition Aaron Tippin Colt® .45 Pistol. The commemorative gun will be available for purchase onTuesday, December 1, 2015 exclusively at americaremembers.com. Pre-sale purchases are available now. 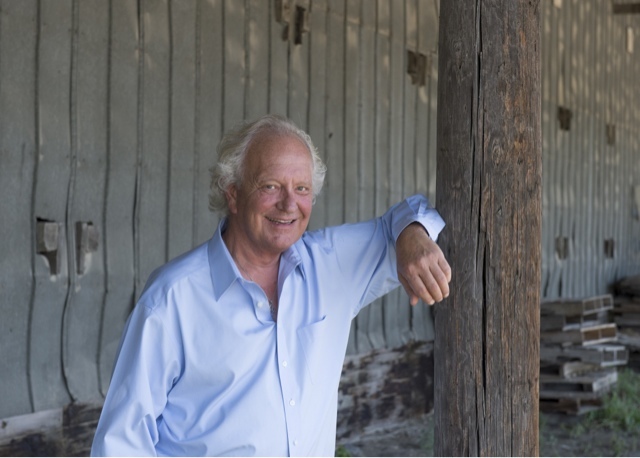 "This year I've celebrated 25 years with great new music and also some really good wine," says Tippin. "To be chosen to be commemorated by a company that has created guns for Elvis, John Wayne, Conway Twitty and George Jones is a huge honor. America Remembers has always done beautiful firearm pieces. I'm so proud to be included in this group." Tippin joins an elite group of celebrities who have been honored with custom America Remembers® firearms including Elvis Presley, John Wayne, George Jones, Chuck Norris and Conway Twitty. The Aaron Tippin Colt® .45 Pistol retails for $1995.00. 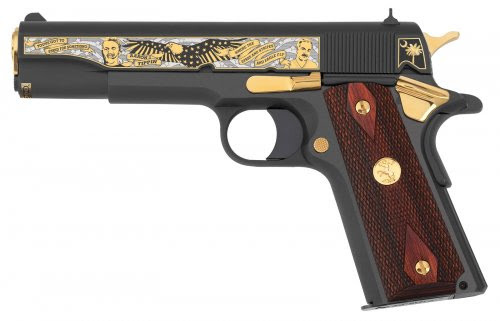 The pistol is engraved in gold with symbolic images depicting Tippin’s patriotic music career. Each gun is numbered within the edition limit of 300, and is accompanied by a numbered certificate of authenticity. NASHVILLE, Tenn. (October 23, 2015) – Country Music Hall of Famer and Statler Brothers member, Jimmy Fortune, continues his successful career as a solo artist with the release of his latest project, Hits & Hymns, available for purchase now in Cracker Barrel Old Country Store® locations as well as music retailers nationwide. Hits & Hymns is also available online at iTunes,Amazon. The star-studded project, released via Gaither Music Group, features collaborations with Vince Gill, The Oak Ridge Boys, Dailey & Vincent, Ricky Skaggs and more. 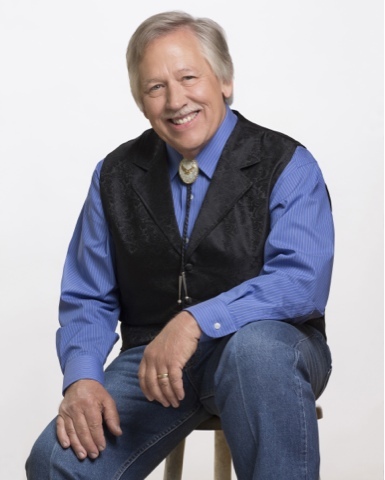 Since his start with the iconic Statler Brothers more than 33 years ago, Fortune has transitioned from group member to a successful solo artist. Fortune, who is a member of both the Country Music Hall of Fame and Gospel Music Hall of Fame, looks to build on this momentum with the release of his brand new album Hits & Hymns. 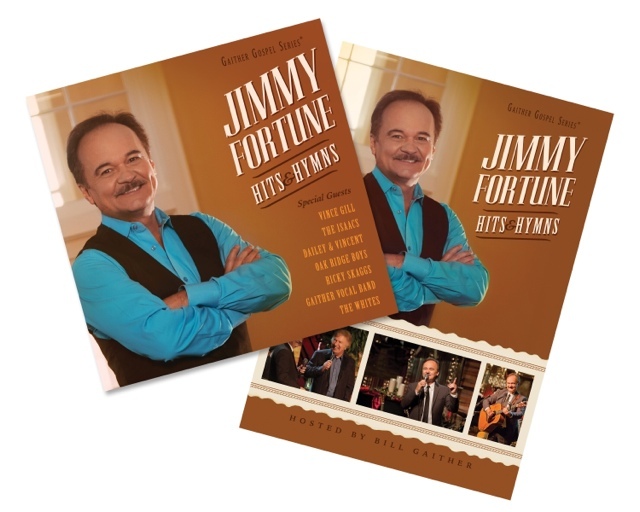 Included in the Jimmy Fortune special are performances off of the new album, including the #1 Billboard self-penned tracks “Elizabeth” and “Too Much on My Heart,” as well as some of Fortune’s favorite gospel songs like “Amazing Grace,” “How Great Thou Art,” with special vocal appearances by Dailey & Vincent and Bill Gaither on select songs. Fans looking to make this special a part of their DVD collection can purchase it at ChristianBook.com,SpringSide.com andFamilyChristian.com, or pick up the CD + DVD combo atJimmyFortune.com. Fortune will give a career-spanning, in-depth interview Monday, October 26, on a special edition of Heartland TV’sReflections. The show, hosted by Keith Bilbrey, takes viewers inside the life and career of some of country music’s most influential artists of all time. 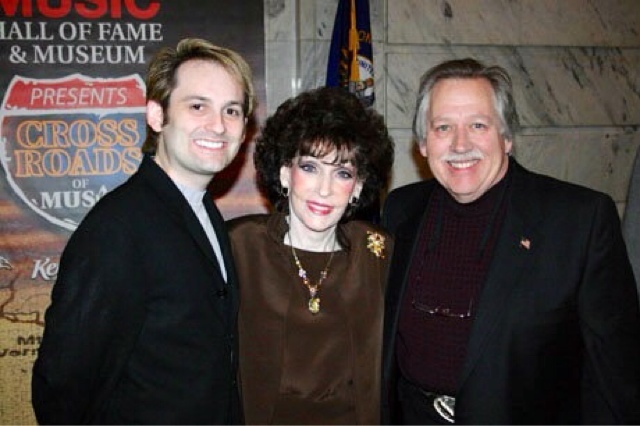 Fortune sits down with the Tennessee Radio Hall of Fame DJ for a discussion about his career with the Statler Brothers, life struggles and triumphs, along with what lies ahead for the chart-topping singer/songwriter. In addition to Reflectionsairing on Heartland TV, the show will air on Blue Highways TV, The Family Channel, Angel Two (DISH TV) and AMG-TV (check local listings). Fortune is also featured in the latest issue ofHomecoming Magazineand an upcoming November issue of NASH Country Weekly. And if that’s not enough Jimmy Fortune for you, there are features onBillboard.com, and in upcoming issues ofCountry Music People, theCountry Standard Timeand many more. Jimmy also recently sat down with SiriusXM’s Deborah Allen for a preview of the album onPrime Country. The Oaks Love Some Taylor Swift! 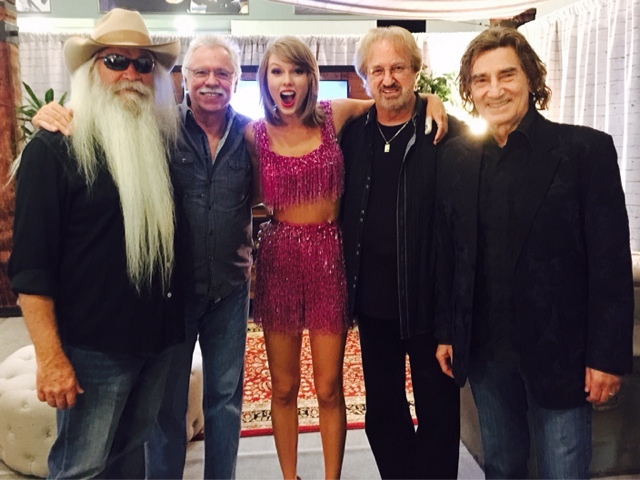 NASHVILLE, Tenn. (October 23, 2015) – Country Music Hall of Fame inductees, The Oak Ridge Boys, mingled withTaylor Swift after her Saturday, October 17 show at AT&T Stadium in Arlington, Texas. The legendary country group visited with Taylor and her parents backstage, and The Oak Ridge Boys are still talking about it. “What an awesome, inspiring experience,” said The Oak Ridge Boys' tenor Joe Bonsall about hanging backstage with just Taylor and her family. "This was the most amazing show I have ever seen… When I wasn't thinking about it all night, I was dreaming about it!" added Duane Allen. Taylor’s father recounted seeing The Oak Ridge Boys and Kenny Rogers at a show in Hershey, PA in 1979. He described how impressed he was with how they fired up the crowd. “They were extremely kind. We talked as friends, neighbors and business colleagues with mutual admiration,” expressed Bonsall. The Oak Ridge Boys will be inducted into the legendary Country Music Hall of Fame, the genre’s highest honor, on Sunday, October 25. 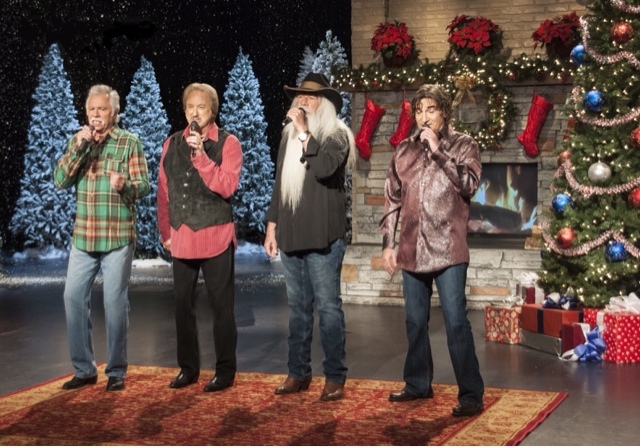 For more information on The Oak Ridge Boys including upcoming tour dates as part of theirChristmas Night Out tour, please visitwww.oakridgeboys.com. Nashville, Tenn. (October 20, 2015) - Country music group Restless Heart has been officially inducted into the Oklahoma Music Hall of Fame(OMHOF). 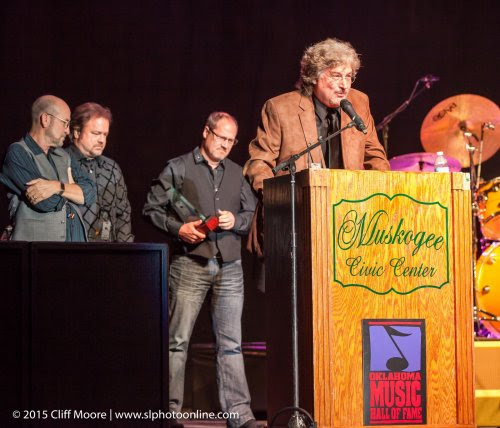 The ceremony took place last Friday in Muskogee, Oklahoma, where Restless Heart performed and received their special honor. Restless Heart's Paul Gregg, Dave Innis and Greg Jennings are all natives of the Sooner State. "One of the coolest things that has ever happened to the band... especially for Greg, Dave and I," says Paul Gregg. "Very happy, very proud and very humble all around." 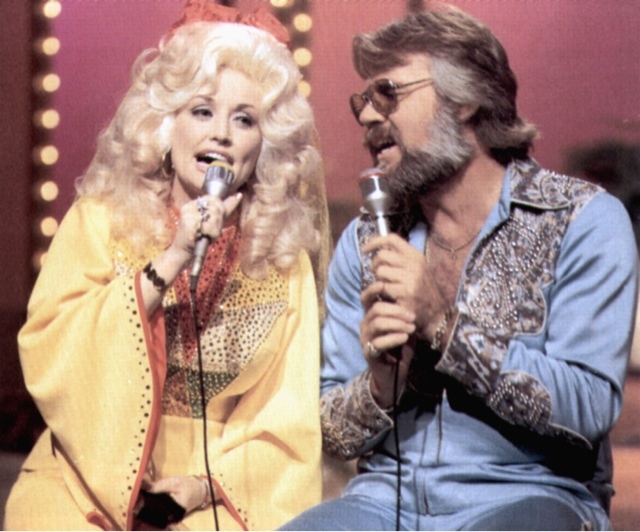 Dolly Parton's 1970's Variety Show on GetTv Next Week! 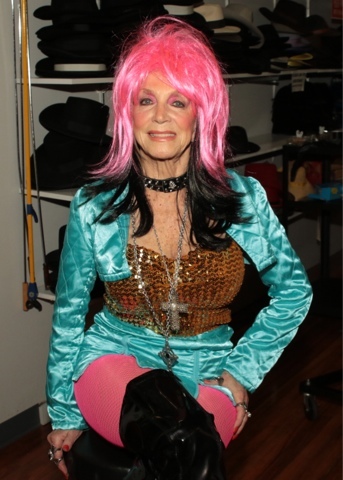 Next Monday GetTv will air two episodes of the Dolly 1970's variety show! The first episode features Anne Murray and second episode Kenny Rogers! 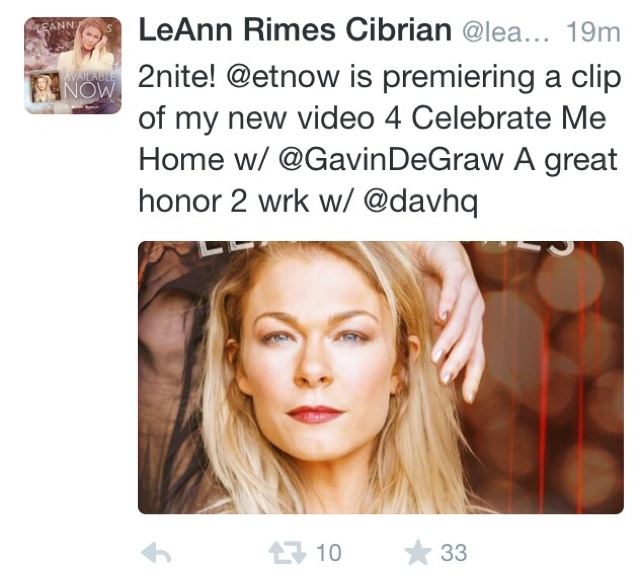 First Look at LeAnn Rimes & Gavin DeGraw's Music Video on Entertainment Tonight! 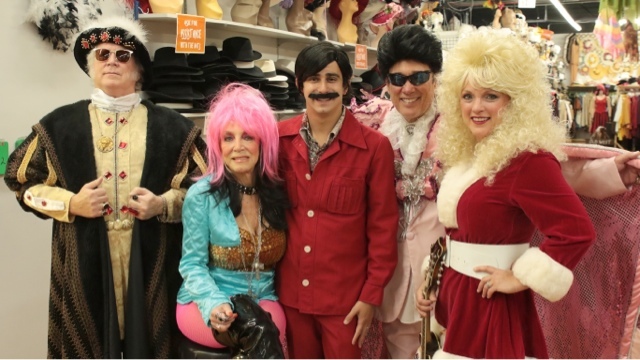 Nashville, Tenn. (October 18, 2015) – Syndicated online series, “The Pickup,” held a Halloween costume contest that brought out the competitive nature in four country artists. 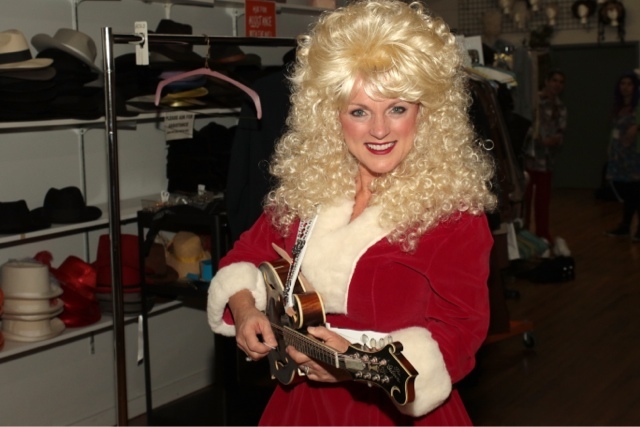 The contestants,Rhonda Vincent, Jeannie Seely, Ronnie McDowell and T. Graham Brown, gathered at Nashville’sPerformance Studios, a massive 15,000 square foot showroom with 25,000 costume pieces. 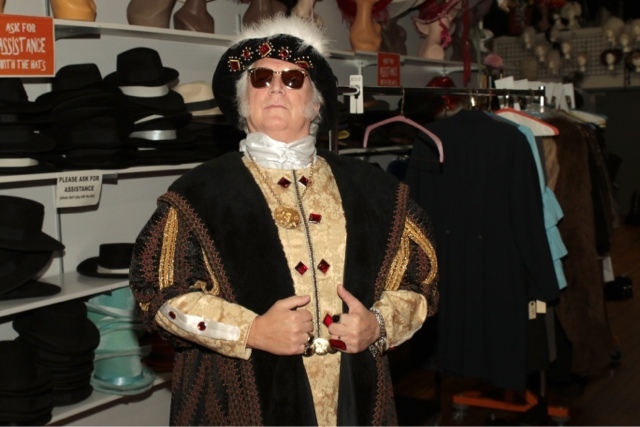 Each artist had a limited amount of time to put together their costume with the help of the friendly staff. 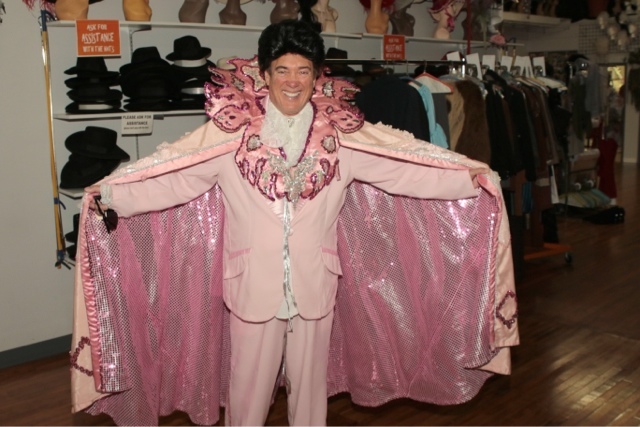 “The Pickup” host, Adam Wurtzel, kept tabs on the contestants to get a feel for the thought process behind each costume selection. 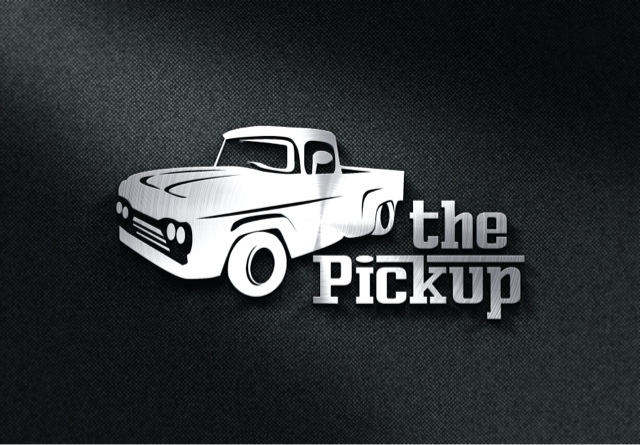 “The Pickup” viewers will select the winner on Twitter by tweeting the handle @thepickuptv and using the hashtag #CountryHalloween. The winner will be revealed on Twitter and in the November 1 episode. The Pickup is a Syndicated video segment, which can be seen on the websites of various broadcasters across the country. (Nash Icon, SiriusXM, HankFM, etc.) Hosted and produced by Adam Wurtzel (GSN, CBS News, WSMV-TV), The Pickup, which launched earlier this year highlights the classic country artists making news today. Country legends like Dolly Parton, Kenny Rogers, the late Jim Ed Brown, the Oak Ridge Boys and more have already been featured. Nashville, Tenn. (October 14, 2015) - Sixty years ago, Larry Gatlin & the Gatlin Brothers discovered they could sing. When Larry was 6, Steve was 4 and Rudy was 2, the brothers, under the direction of their mother, Billie, started performing Gospel music. Gospel music was the catalyst that jumpstarted their success toward becoming one of the most recognized family trios in the history of music. 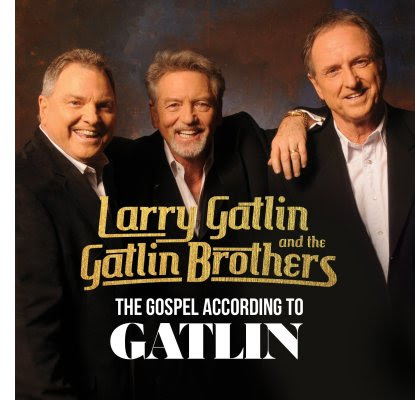 This year, in celebration of six decades of music, the brothers are returning to their roots with the upcoming release of The Gospel According to Gatlin, available from Curb Records on November 6, 2015. It's been nearly seven years since the Gatlin Brothers released new music. Larry and the brothers knew for some time they were ready to get back in the studio but couldn't quite decide on a direction. That's when God gave Larry a message. Larry recalls, "I was at The Masters golf tournament a couple of years ago as the guest of my old friend Charlie Yates. I was also talking to my very best old friend, GOD, about the rather awful shape the world is in. I said 'Big Guy (The Big Guy's okay with that) what am I doing wrong?' It was then that I heard His 'still small voice' whispering in the top of the Georgia Pines - at least I think that's what it was … 'GO BACK TO YOUR ROOTS LARRY WAYNE.'" The 11-track album, produced by the Gatlins, includes all new Gospel songs, each of which was written or co-written by Larry Gatlin. "What Would Jesus Do?" asks what would the Son of God do if he came to Nashville? Larry notes, "I think HE would look around and go where the ‘folks' are and sample - up to a point - what the 'folks' are having... undoubtedly the 'folks' would feel better after hangin' around with Him ... unlike hangin' around with a lot of 'religious types.'" On "Young Jewish Lawyer," Larry says, "Well, I really ain't sure how this one came about except to say that I heard a preacher, somewhere, some time- don't know when, where, how, or who- say that although he was guilty, he was not going to be afraid of hell fire because he would have a young JEWISH lawyer to plead his case before the heavenly judge, GOD ALMIGHTY HIMSELF," says Gatlin. Another notable song on the album is the Larry Gatlin and Billy Dean-penned "An American With A Remington." Shortly after writing the tune, Gatlin and Dean posted a video performance of the song to Facebook. Within 24 hours, the video reached 5 million people. The album also features the award-winning Gaither Vocal Band on "Clean" as well as a fiddle performance by legendary country star Charlie Daniels on "What Would Jesus Do?" "Some folks may think that the title of the album is a bit much. Steve aka Shib and Rudy aka Rudes and I don't think so and we think the Big Guy is okay with the title of the album too," says Larry. "Because ya see, if we know one thing for sure about the Big Guy, it's this, He has a reeeeeeel goooooood sense of humor. It's called graaaaaaace!" The Gospel According to Gatlin is available for preorder at Amazon.com. The album will also be available for download via iTunes on release day. 10. What Are You Waiting For? Faith Hill and Kellie Pickler are teaming up for new syndicated talk show. Faith, will executive produce the show along with former Oprah executive Lisa Erspamer. Kellie will host with yet to be decided cohosts. Great news for Nashville, the show will be filmed in Music City! Hopefully they'll allow studio audiences! We desperately need a better media and television presence in Nashville since TNN left the air. Erspamer has said that while they've discuses wanting Dolly Parton to guest on the show, they won't focus emphasis on Country Music! 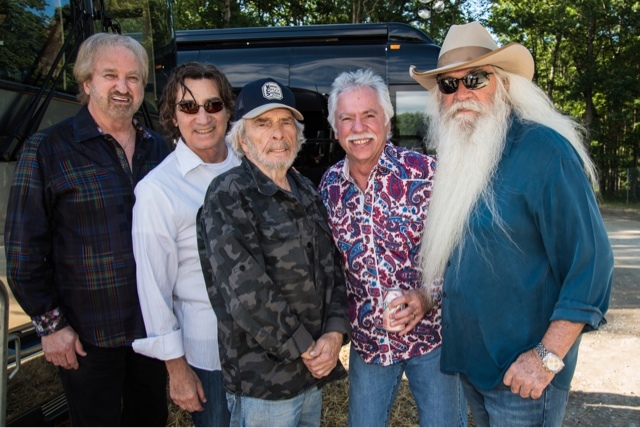 NASHVILLE, Tenn. (October 13, 2015) – The Oak Ridge Boys are the 2015 recipients of the Gospel Music Association's (GMA) Dove Award for Country Song of the Year for their recent country single, "Sweet Jesus," originally written by Kenny Vernon and country music icon Merle Haggard, who joined the group on the recorded version of the song. "Sweet Jesus" is just one of the stand-out tracks on the award-winning group's latest album, Rock of Ages, Hymns and Gospel Favorites, which is now available in retail stores nationwide and online. The award marks the group's tenth career GMA Dove Award overall. Producer Ben Isaacs, who co-produced the album with The Oak Ridge Boys' Duane Allen, was on-hand to accept the award at the 46th Annual GMA Dove Awards in Nashville on Tuesday, October 13. Upon finding out the group had received the prestigious award, Joe Bonsall of The Oak Ridge Boys said, "This whole project was magic from day one. We are thankful to Bill Gaither for the opportunity, and thank Ben Isaacs and Duane Allen for their leadership and guidance. Thanks also to our hero Merle Haggard, not only for the song, but for recording it with us! And thank you GMA for yet another Dove Award. We are humbled and honored. Most of all, our thanks and praise to Sweet Jesus for his constant blessings upon The Oak Ridge Boys. HE garners all of the praise and glory in everything we do." The group—Richard Sterban, Duane Allen, William Lee Golden and Joe Bonsall—have earned prestigious membership in the Country Music Hall of Fame (2015 Inductees) and Grand Ole Opry, among other designations. Known worldwide as one of recording history’s most extraordinary musical successes, they have charted single after single and album after album, celebrating over 41 million records sold, two double-platinum albums, and more than 30 Top 10 hits, including No. 1 chart-toppers “Elvira,” “Bobbie Sue,” “Thank God For Kids,” “American Made,” among dozens more. For more information on The Oak Ridge Boys, please visitoakridgeboys.com. October 9, 2015 – A global audience enjoyed the 2015 edition of the NQC (National Quartet Convention) held last week in Pigeon Forge, TN. The 59th annual event – held at the LeConte Center – attracted attendees and webcast viewers from over 30 countries. In addition to the United States, the NQC was enjoyed by gospel music lovers in Canada, United Kingdom, Czech Republic, Chile, Netherlands, Australia, Norway, Taiwan, Argentina, Mexico, Peru, Nicaragua, and many more! The 59th annual NQC (National Quartet Convention) concluded on Saturday night, October 3, 2015. The 2015 edition of the popular event included over 100 hours of gospel music, speakers and more spread out over the course of seven days in beautiful Pigeon Forge, TN. A veritable who’s who in gospel music performed during this year’s event as artists performed for approximately 40,000 throughout the week. Attendees enjoyed The Hoppers, Kingdom Heirs, Greater Vision, Mark Trammell Quartet, Jim Brady Trio, The Nelons, Jason Crabb, Ernie Haase & Signature Sound, the Collingsworth Family, Jeff & Sheri Easter, and many, many more during the morning chapel services, afternoon showcase spectaculars and evening concerts. Additionally, the convention featured comedy – Tim Lovelace, Aaron Wilburn and Dennis Swanberg, and speakers – Todd Starnes from Fox News and Dr. David Jeremiah. The 60th Annual NQC will be held September 25, 2016 – October 1, 2016 at the LeConte Center in Pigeon Forge, TN. 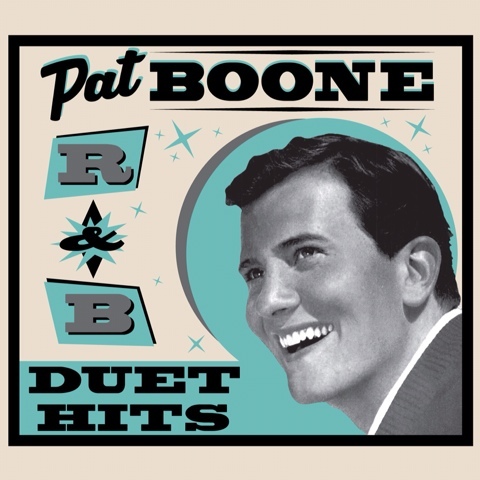 NASHVILLE, Tenn. (October 12, 2015) – With a career that has spanned over sixty years, Pat Boone has achieved an amazing number of accomplishments. He has been a successful singer, composer, actor, writer, television personality, motivational speaker, and spokesman. He is one of rock & roll’s best-selling artists and has sold over 45 million albums, had 38 Top 40 hits, and appeared in more than 12 Hollywood films. He still holds the Billboard record for charting consecutive weeks by spending 220 consecutive weeks on the charts with one or more song each week. He has hosted his own TV show and has written a number of books including 2 million - plus sellers that have been translated into many languages. Currently, he continues to perform for an audience of millions on both TV and radio, has just completed 2 films and is still recording. A Woman Needs Love withRay Parker Jr.
NASHVILLE, Tenn. (October 9, 2015) – John Conlee, one of the most recognizable voices in country music, is set to honor law enforcement officers around the country with his October 14th performance of “Walking Behind The Star” on the #1 rated cable morning show Fox News’ FOX & Friends. 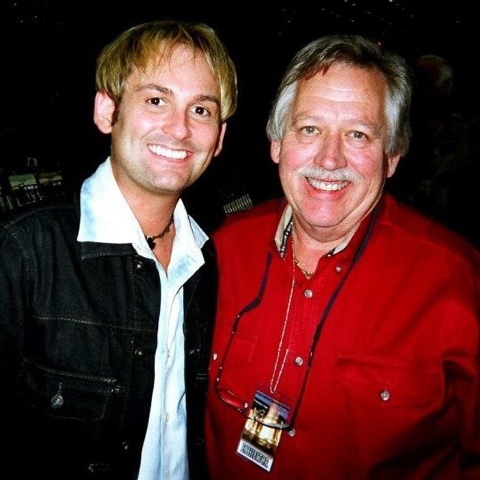 James Bartels, police officer in Patriot, OH -- As a policeman shot in the line of duty, I found John Conlee’s comments and his performance on the Grand Ole Opry very moving. I would like to thank him for understanding the terror law enforcement endure every day in the society we live in. Derik Walker, K102 Country in Spokane/Sandpoint, ID -- Just wanted you to pass along to John Conlee that his song, “Walkin’ Behind The Star” was the absolute perfect song to play this week for our fallen officer Greg Moore of the Coeur d'Alene, Idaho police department. I can't tell you how many calls we got regarding the song and how much it meant to folks in the inland Northwest as they deal with this tragedy. Sargent Greg Moore served the people for 16 years, before he was gunned down in Post Falls, Idaho Monday night. Please extend our gratitude to John on behalf of the entire K102 Country family! David Lyons, police chief in Savannah, GA -- I am a police chief in the state of Georgia, the immediate past president of the Georgia Association of Chiefs of Police and a career police officer. I heard you sing the song, "Walkin’ Behind the Star” and wanted to tell you how much I appreciated you. With all that’s going on in the world right now along with the attacks on our police officers, it is good to hear some appreciative words. Thank you and God bless you. 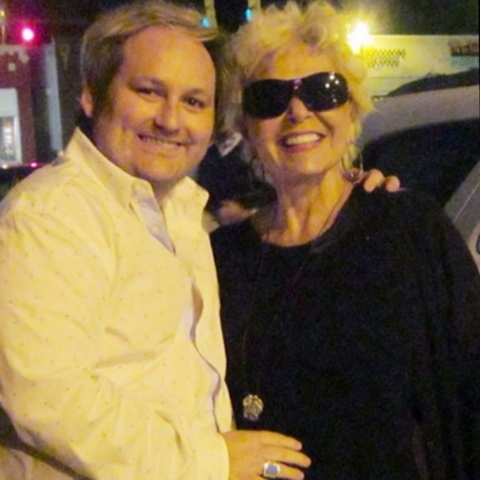 The new, improved, glamorous Roseanne Barr, stopped by Zanie's Nashville to remind everyone why she's the reigning Queen of Stand Up! 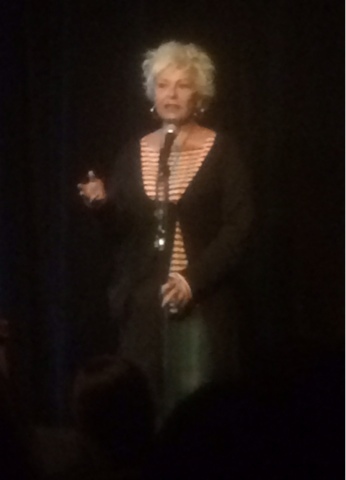 Addressing everything from Bill Cosby, aging, her previous run for the Presidency, she slayed the crowd! Just as Lucille Ball, revolutionized comedy through I Love Lucy, Roseanne, transformed, modernized and showed the world how a family kept a float in the 1990's! The ground breaking, Roseanne sitcom, mixed social issues with the comedic genius of the fictional Roseanne Conner. NBC, recently ruined a deal to bring Roseanne's genius back to prime time episodic television. 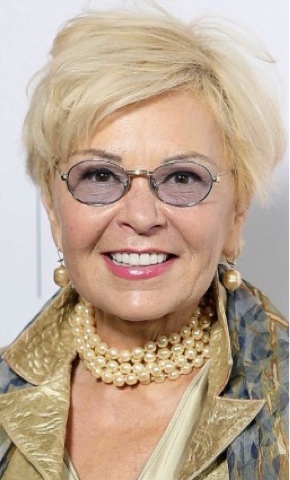 It seems NBC, wanted Roseanne, but not her ideas, writing nor genius that made her known to them in the first place. Smooth move ex lax (errr..NBC). Next stop for Roseanne, Las Vegas's Venetian Hotel for their Lipshctick comedy series! Thank you Roseanne, for the laughs and for your kindness Friday and Saturday! NASHVILLE, Tenn. (October 7, 2015) – Taylor Hicks is on-deck to perform the National Anthem next week at the Major League Baseball Division Series Playoff Game Five at Kansas City Royals, which will be televised on Fox Sports 1 (FS1). He is also on the ice to perform this week at the Nashville Predators' home opener, Thursday October 8th. Taylor is in the studio now putting the finishing touches on a new album slated for release in 2016, with an ambitious schedule to follow. Webster Public Relations is honored to announce the addition of the music powerhouse to the firm’s long roster of legendary clients. "Taylor Hicks is a great artist," says Webster PR President Kirt Webster. "We are excited to begin working with him to help continue to build his brand awareness." 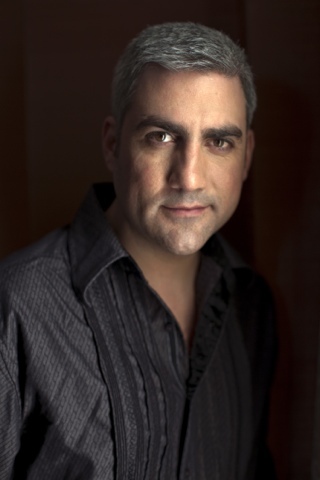 Taylor Hicks is one of the most beloved and popularAmerican Idol winners of all time. From the start, Hicks’ material on the mega-hit show set him apart, with a unique take on Country, Southern Soul, R&B and Blues. Sixty-four million votes were cast and nearly 37 million American viewers and more than 200 million viewers worldwide tuned in to crown Hicks the Season 5 winner of American Idol, making it one of the most-watched TV events of the last decade. Hicks’ star continued to rise after he stepped off the Idol stage. Less than three weeks after his Idol victory, his debut single, “Do I Make You Proud,” entered at #1 on Billboard’s Hot 100, Pop 100, and Single Sales Charts. His self-titled album (Arista), debuted at #2 on the Billboard 200 and was quickly certified RIAA Platinum. Hicks is the first male Idol winner to be featured on a Grammy Award-winning album, Jimmy Fallon’s “Blow Your Pants Off,” which took home the 2013 Grammy for Best Comedy Album. Hicks’ career has included stints on Broadway, a national tour with a hit musical, as well as headlining Paris, Las Vegas and other Caesars Entertainment properties all over the United States. He has performed with an amazing variety of artists such as Willie Nelson, Snoop Dogg, Gladys Knight, Earth Wind and Fire, and The Allman Brothers. Taylor celebrates his birthday today which he shares with music industry vet Simon Cowell, and fellow musicians John Mellencamp, Yo-Yo Ma, and Michael W. Smith. Taylor is quick to point out that he will be 14,244 days old. For more information, please visit taylorhicks.com. 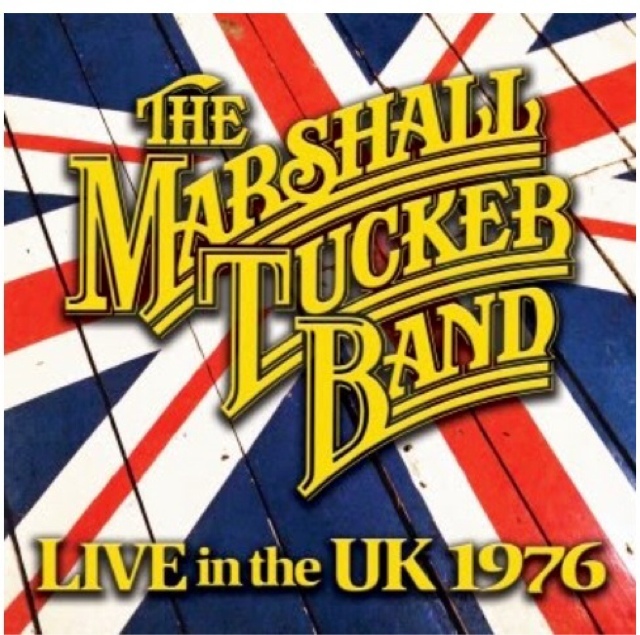 Nashville, Tenn. (October 6, 2015) - After blazing concert trails across the United States for four years, The Marshall Tucker Band (MTB) took a mighty leap in November of 1976 when they crossed the Atlantic and hit Europe for the first time. The MTB recorded and archived the European tour and now for the first time, the nearly 40 year old live recordings will be available for purchase when Live in the UK 1976 (Ramblin’ Records / Sony RED) is released on October 30, 2015. The international tour led them through West Germany, Belgium, the Netherlands and France before wrapping with a four-gig engagement in Great Britain. By the end of the tour, they had put to rest any doubts that their brand of Southern Rock would be welcome overseas. Live in the UK 1976 testifies to how these native sons of Spartanburg, South Carolina could mesmerize a crowd no matter how far from home they traveled, and appreciated the distance they’d come in a few short years. Playing Europe was a very big deal, indeed. "This tour marked the first time we had ever played overseas," reminisces MTB lead singer Doug Gray. "We were just a bunch of young hillbilly kids who had no idea what to expect but let me tell you, our European fans made us feel like we were right at home. This was one of the most memorable tours in the history of The Marshall Tucker Band. I'll never forget it." The original line-up of Doug Gray, Toy and Tommy Caldwell, Jerry Eubanks, Paul Riddle and George McCorckle was at the top of their game, fueled by five successful studio albums and a growing following of concert-goers. This album captures, in amazing sound quality, why The Marshall Tucker Band still commands an audience all over the world. Nashville, Tenn. (October 7, 2015) - Country music star Aaron Tippin will soon see his 25-year career chronicled on national television airwaves. 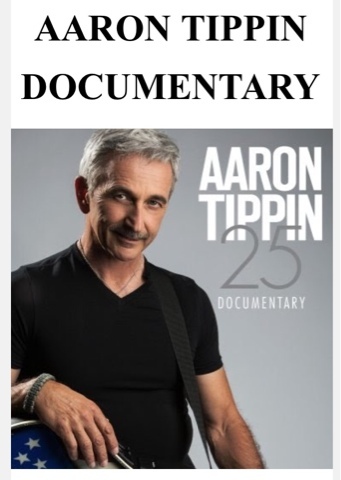 Aaron Tippin: 25, a documentary celebrating Tippin’s 25th anniversary in the country music industry, will soon be broadcast nationally on The Heartland Network,The Family Channel, Blue Highways TV (Dish TV), AMG TV and The Angel Two Network (Dish TV). Aaron Tippin: 25 gives viewers an in-depth look at the country singer’s rise from humble beginnings to international stardom. The documentary features interviews with Tippin as well as the music pros who helped make him a household name including recording industry icons Joe Galante and Scott Hendricks, 650 AM WSM's Bill Cody, publisher and media personality Charlie Monk and more. The 45-minute documentary is produced and directed by acclaimed Nashville film veteran Glenn Sweitzer. NASHVILLE, Tenn. (October 6, 2015) – Grammy Award-winning music legends, The Oak Ridge Boys, will once again celebrate the Christmas season with timeless hits and holiday classics on their 26th Annual Christmas Night Out Tour, coming to a city near you. The almost two-hour holiday show transports concertgoers into Winter Wonderland with fan-favorite hits and Christmas tunes new and old, beautiful sets, falling snow—and even a special visit from Santa Claus himself. “There is nothing quite like an Oak Ridge Boys Christmas Show. This tour has become an Oak Ridge Boys tradition and is a tremendous experience for the entire family. With a revamped stage and a fresh approach, this year’s show will be a dynamic mix of music representing every aspect of Christmas from presents and snow, to romance and Santa Claus, on to the real meaning of the season celebrating the birth of Jesus,” said The Oak Ridge Boys’ Joe Bonsall. Each year The Oak Ridge Boys’ Christmas tour plays to packed houses across America. The 2015Christmas Night Out Tourwill take the group to more than two-dozen cities in nineteen states, from the East to West Coast, mid-November through December 23. A mixture of traditional and contemporary songs—including religious, romantic, and fun holiday tunes—makes up the set list, which includes songs from the Oaks’ six bestselling Christmas CDs.